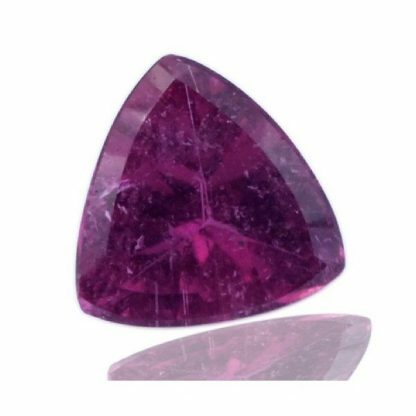 This is an interesting and rare natural loose Rubellite gemstone, it is the red colored variety from the Tourmaline mineral family. 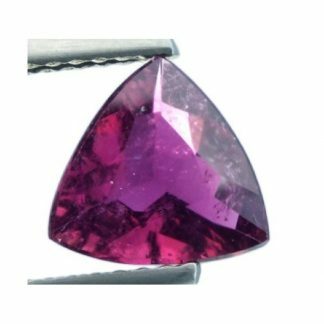 This natural loose rubellite, was genuine earth mined in Brazil, completely untreated it was shaped and polished into an original trilliant faceted cut. 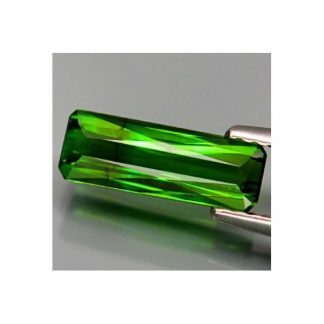 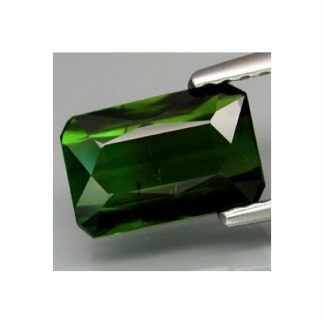 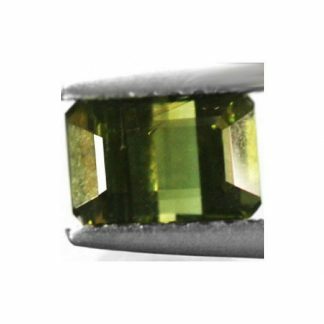 This loose gemstone present a vivid red color with some tint of purple, strong saturation and medium tone, this brazilian rubellite tourmaline comes with good transparent clarity with minor tiny inclusions almost invisible into the crystal, which doesn’t compromise the attractiveness of this loose gemstone. 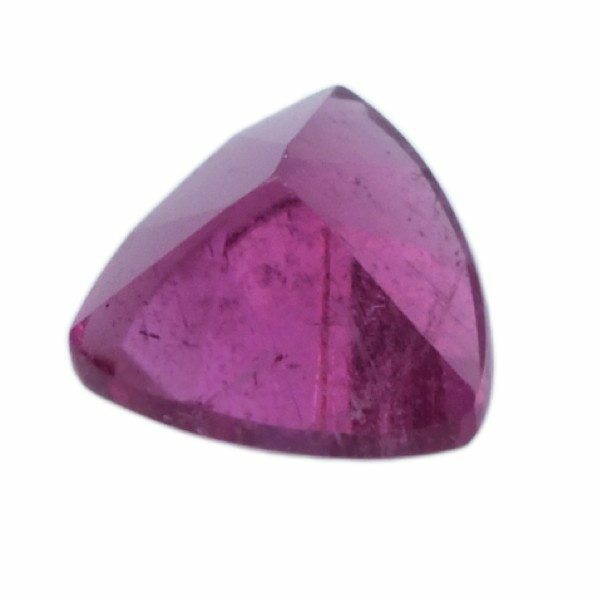 Rubellite is the rare red variety from the tourmaline mineral family, very appreciated by gems collectors and jewellers, it is considered a medium durable gemstone and can be used in jewelry. 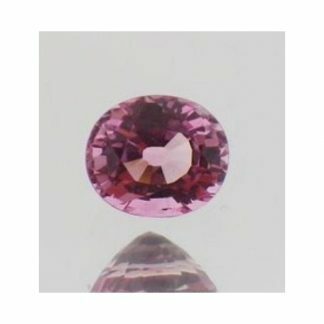 Dimensions: 7.5 x 7.2 x 4.3 mm.